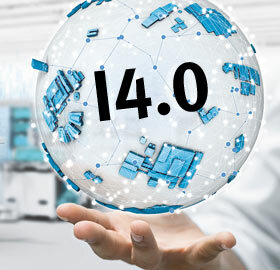 Festo is at the forefront of Industry 4.0. We are one of four industry representatives on the steering board for the German Federal Government’s high-tech strategy – the originators of Industrie 4.0. We use the experience gained in our own Industry 4.0 Smart factory to help other companies develop their strategy for implementing Industry 4.0. Preparation is the key to successfully implement Industry 4.0. Before starting, managers need to have an understanding of the core elements and technologies, and how their interaction leads to Industry 4.0. Only then can they start to develop new business models and specific strategies to drive Industry 4.0. This looks at the core elements and strategic application. The drivers, goals and core elements. This is training course is for all involved in manufacturing who have an interest in Industry 4.0. We run Industry 4.0 training courses at our training facilities in Northampton or at your own premises. Want to know more about what Industry 4.0 is? We’ve collected together a host of interesting resources. Communicating change to engage your whole team, as well as supporting managers to handle challenging people and situations. Download this free infographic to find out how. Planning for change, including the four signs your organisation is responding reactively to change. Find out more by requesting our Industry 4.0 White Paper.